On facebook you may have seen many authentic page with blue check mark next to their names like in the below pictures. After seeing these check marks with hover(Verified Page or Profile) it makes feel some special in the eye of the viewer and it’s a moment for proud because only popular pages and profiles get verified. However before it was done automatically totally but now facebook had allowed it’s users to submit a request for verification of pages. 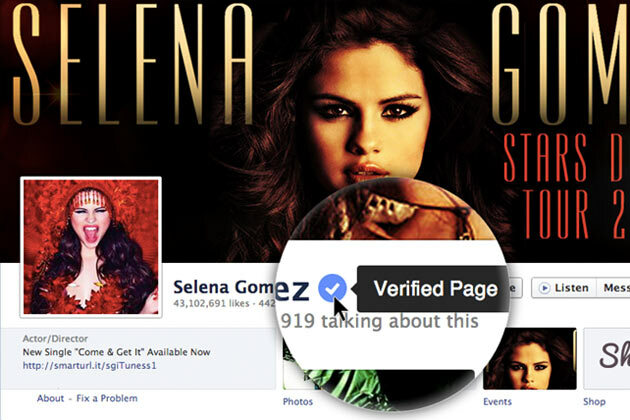 Currently facebook is only verifying Public Figures or Celebrity pages only with an active fans and reaches of posts. Website or Business page are currently unavailable for verification. Likes is not a criteria but I suggest you to have atleast 5000+ likes on pages but not generated with any like for like websites or autolike websites. 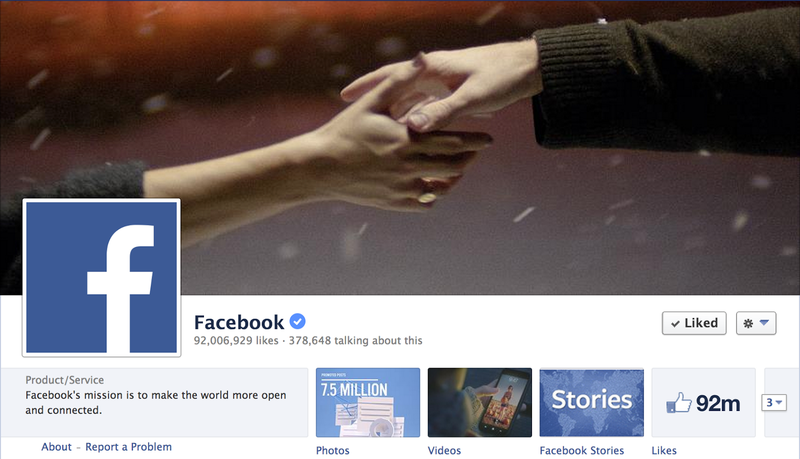 You will receive email from facebook within a period less than 7 days which will confirm you that your page will be verified or not. 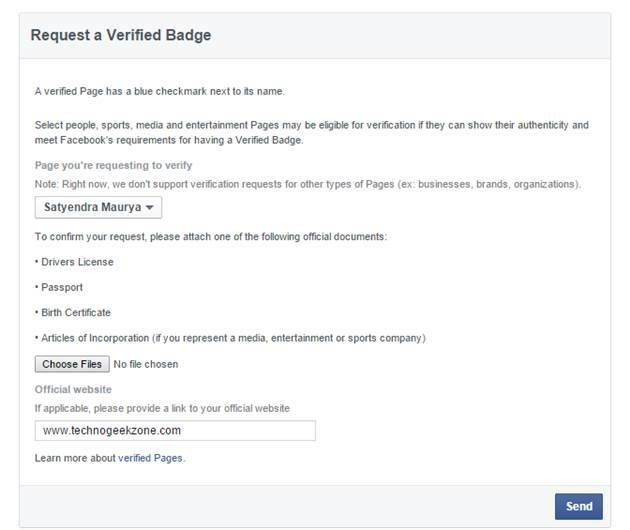 Facebook does not allow verification by submission of profile manually but if you have get your facebook page verified then you can also get your profile verified by proper linking both page and profile by providing users a link of profile on the about section of the page.